Okay, one last amigurumi out of me before we move on to holiday gifts! 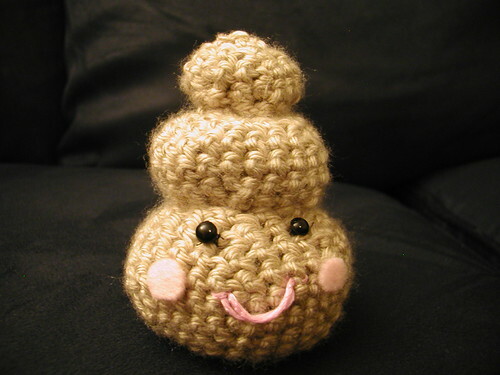 I made Happy Poo, and it’s pretty much the cutest thing I’ve ever crocheted. I love it! Well, I’ll see you all tomorrow when we start crocheting our holiday gifts! Heehee! What a great way to end our Ami theme! 🙂 Thanks, guys. It was easy and fun to make.